Home / Ideas/ Inspiration / A Very Harry Potter Themed Wedding! It’s the 20th anniversary of the much loved Harry Potter book series. Most of us 90’s kids grew up with the adorable boy wizard and dreamt of being transported to the magical world he inhabited. 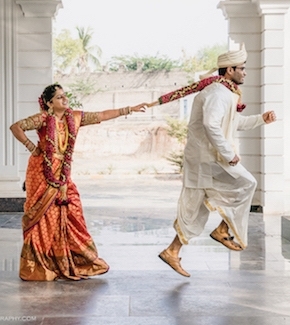 Are you a bride or groom to be, who has grown up but refused to outgrow Harry Potter? Then why not indulge your inner Potterhead and the ditch the beaten isle, and go for an offbeat Harry Potter themed wedding! We are here with our supernerdy ideas to make your special day truly magical! We are so in love with this absolutely bewitching Harry Potter inspired invitation card fashioned after the Letter of Acceptance to the Hogwarts School of Witchcraft and Wizardry. 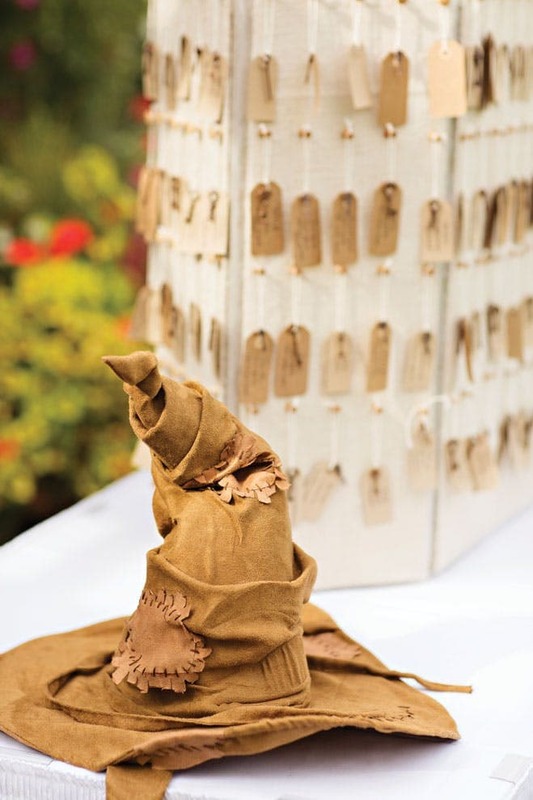 Let the Sorting Hat decide which guest belongs to which table with this clever seating arrangement plan at your harry potter themed wedding! You can even name your tables after the Houses and subjects taught at Hogwarts! You can up the nerd factor at your wedding by naming your drinks after drinks from the Harry Potter world. 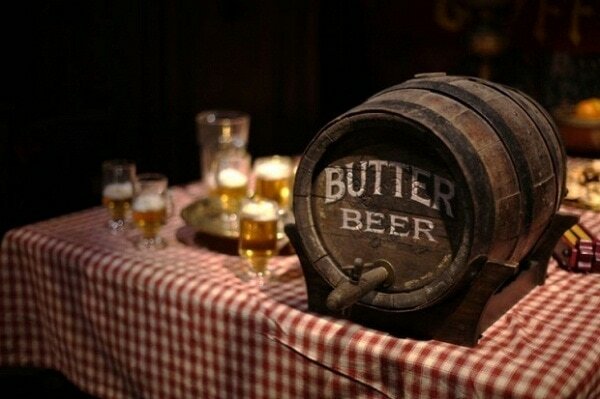 Butterbeer anyone? Or maybe some Firewhiskey! Customized chocolates in the form of Gringotts gold will surely be loved by your guests. Assorted chocolates styled as Bertie Botts’ Every Flavored Beans could be another great idea. 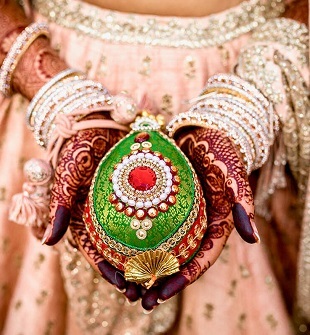 5) One for the Bride! 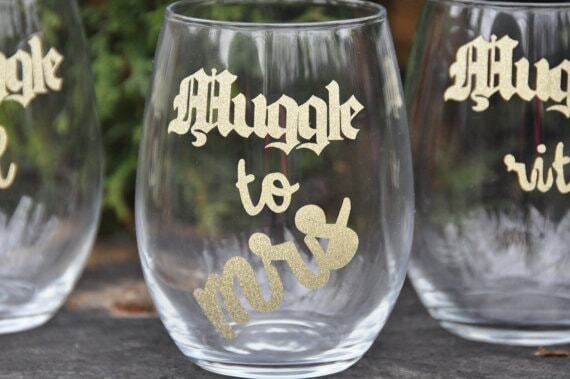 These customized “from Muggle to Mrs.” tumblers are a must-have for every Potterhead bride after all, its a harry potter themed wedding! Isn’t the wedding looking a bit drab? 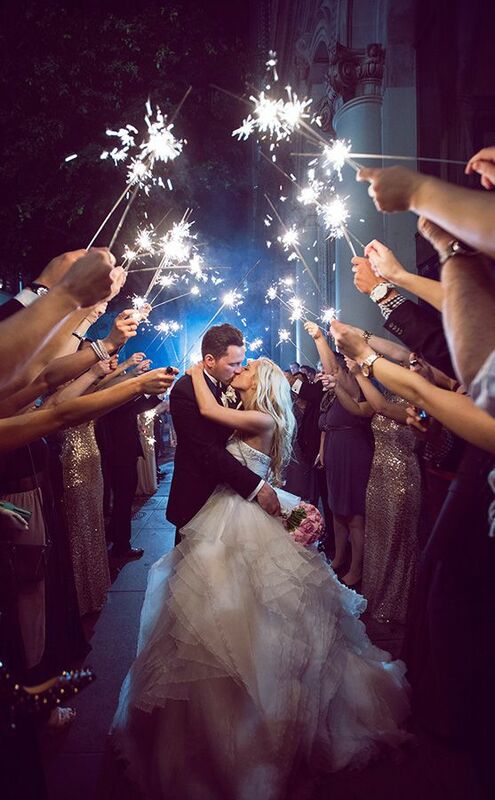 Why not add some sparkle to your wedding with these sparklers that double up as wands! And don’t forget the magic spell! Lumos! Deck your photo booth with props inspired by Harry Potter. Harry’s signature round glasses and lightening mark are our personal favorites, along with these really cool “have you seen this wizard” photo frames! Tell your guests to Accio a prop and strike a pose! This one is strictly for the nerds. 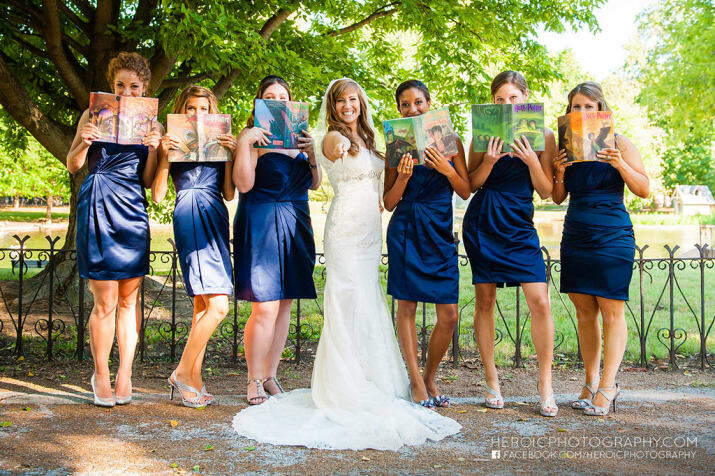 Click a photograph of you and your bridesmaids or grooms with your favorite Harry Potter books and create a lasting tribute to Harry Potter. 9) Dress Up the Harry Potter Way! Let your hair down the Harry Potter way with the Yule Ball as your dress theme! 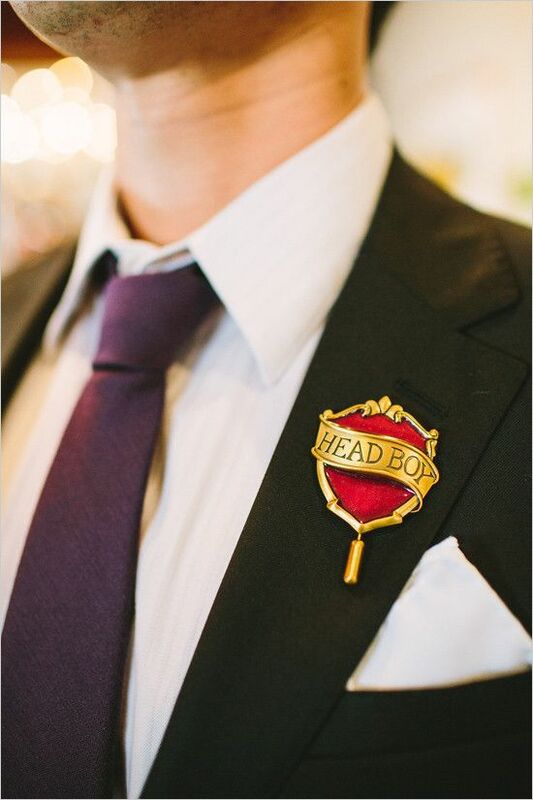 But if you do not want to go all out with the theme, just add an HP element like a Hogwarts crest inspired batch or a customized golden snitch brooch to your wedding attire theme. 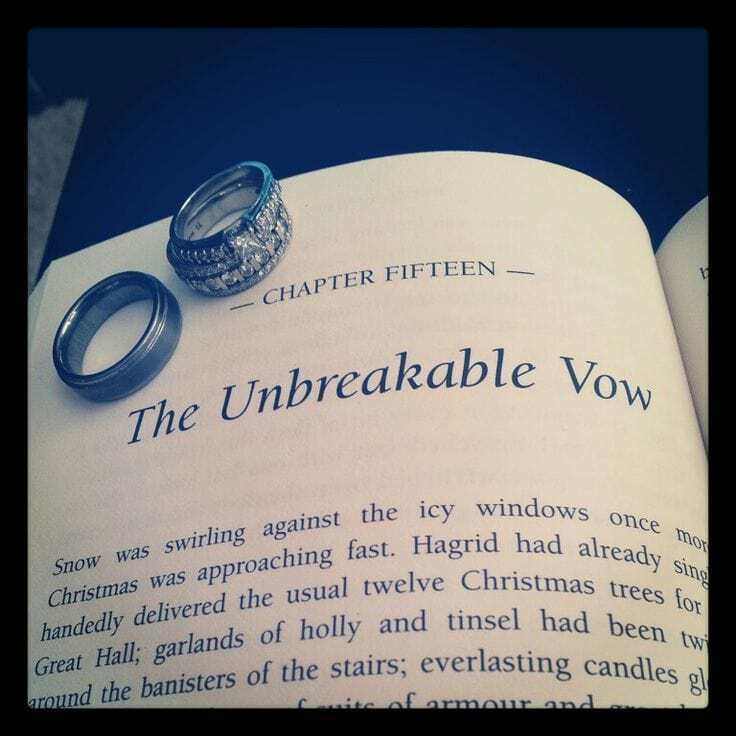 A Harry Potter themed wedding is incomplete without an Unbreakable Vow of love! 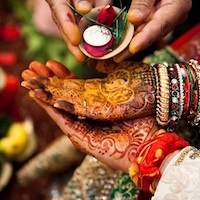 So go ahead and add it to your vows or pheras. If your pet is coming to the wedding, then they too must go with the theme right? Accio your Patronus in this charming Harry Potter collar! For more awesome ideas on how to incorporate your pets in your wedding, visit here! Send your guests back with a memorable Harry Potter memento in the form of tumblers or wine glasses with your favorite HP line on them. Our pick are these classy tumblers with Snape’s memorable ‘Always’ line. Do tell us what you thought about our ideas, and if and how you incorporated it in your Harry Potter themed wedding or bridal shower! Have a very Harry Wedding!